Steel seatpost with black edition finish. Brompton standard 31.8mm diameter with flared end. Brompton seatposts do not require any grease, copper slip or lubrication. Can I use this on a decathlon folding bike? The decathlon seatpost is also 31.6mm but I require some additional length. Unfortunately his is not something we have tried so we're unable to say for sure. The Brompton seatpost does however have a lip on the bottom of the post so is only designed to be fitted from the bottom of the bike upwards so it may be worth bearing this in mind depending upon how your seatpost fits. Is this alloy or steel? 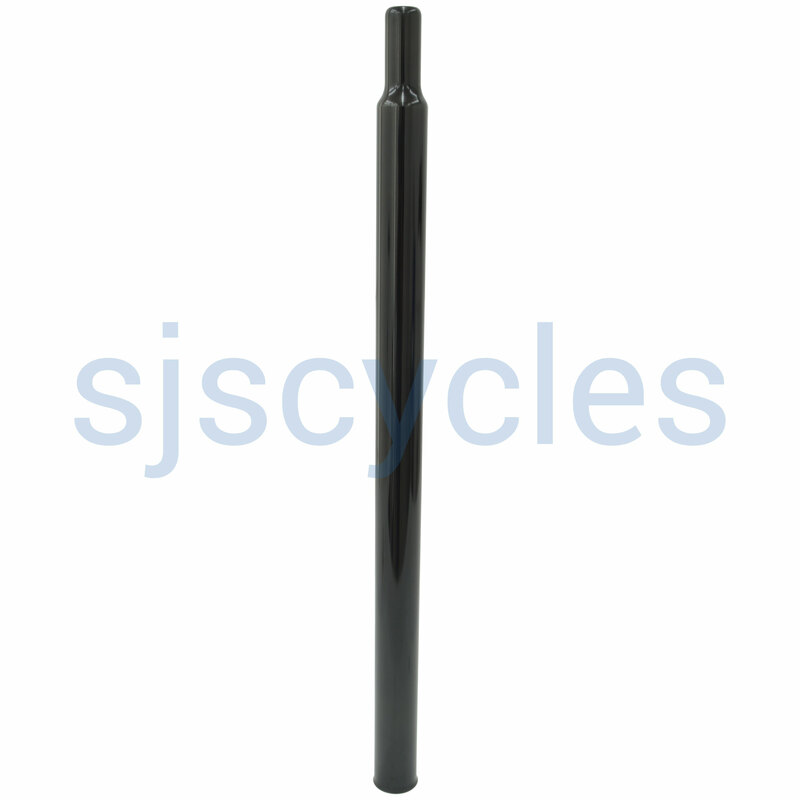 Hi, This is a steel seatpost. Thanks.